Preserving the organic redevelopment that is already happening. 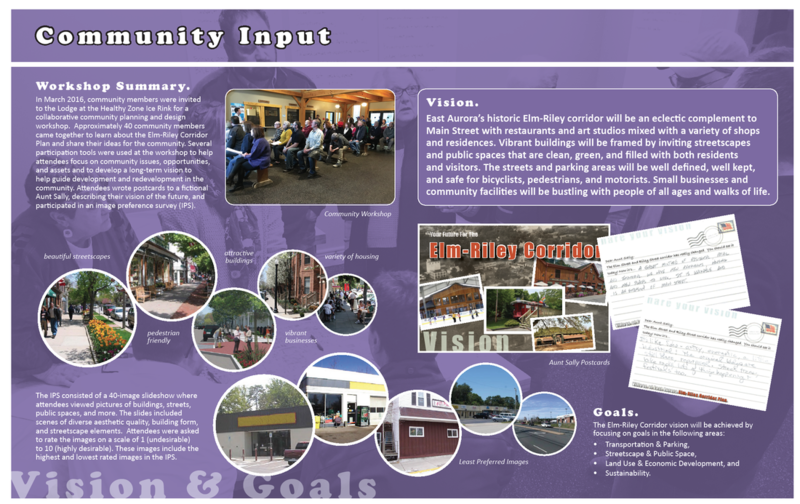 To address these goals, IPD worked with the Project Steering Committee to develop a community-based vision for the area. This vision guided development of recommendations that focused on transportation and parking, streetscape and the public realm, land use and economic development, and sustainability. Land use recommendations from this plan are currently being incorporated into a Village-wide zoning code update.